About 50 percent of the workforce is female, however only roughly two out of ten managers are women. Therefore, it comes as no surprise that misunderstanding often occurs between the genders. Most of these conversations gone wrong are the direct result of gender communication differences. Men and women have different ways of asking for advice and requesting action. They often define needs and expectations differently and communicate them in different ways. They have different ways of making demands in the workplace. Their conversational timing and verbal responses vary. Men grow up in a competitive environment in which they’re always trying to outdo their peers or preventing them from pushing them around. In contrast, from a young age, women learn to use conversation as a tool to exchange support and confirmation. Therefore regardless of the environment, men use language as a problem-solving tool while women use it to create connections and share validation. There’s certainly such as a thing as masculine and feminine language. The resulting crosstalk between the genders tends to put a strain on dialogue in the workplace. A large portion of misunderstandings between men and women at work frequently emerge around the themes of power, management styles, and advocacy. Let’s take a look at some examples of common causes of these gender-based misunderstandings and how to avoid them. Women typically ask many questions before starting a project. Men often dive right into it. To men, asking a lot of questions is viewed as a sign of weakness so male bosses might assume women aren’t up to the task. Women tend to validate data before starting work, in some cases, to improve performance. Female bosses are therefore encouraged to oversee projects in the early stages and identify areas where male team members may need help. Male bosses should take time to address questions as they may add value. Women often rely on anecdotes about personal relationships when talking to clients or staff and crafting narratives. Men frequently use metaphors about competitive themes such as war and sports. These gender communication differences may cause workplace dialogue to fall apart. Few women follow full-court-press or touchdown images derived from basketball. However, a mere gender-reversal of images won’t solve the problem. Instead, take into account your audience and work with gender-neutral images for example from movies or nature. If you insist on using your preferred images, then take time to explain what you mean. Growing up, boys tend to compete for leadership while girls usually seek to build relationships. For these reasons, the genders wield power in dissimilar ways. Whereas feminine expression of power is more collaborative, masculine authority frequently challenges and expects to be challenged. Each gender may view the other’s style as insulting or ineffective. Women might think men are insecure or ham-fisted if they exert themselves to strongly. Men may view women as lacking in conviction or confidence whenever they try hard to get buy-in. To bridge this divide, both men and women should aim to learn from the best aspects of the other’s style. Women shouldn’t shy away from taking charge and men should consider adopting a more collaborative approach. Adopting the best of both worlds might not come easy at first but can be practiced in workshops and role plays. 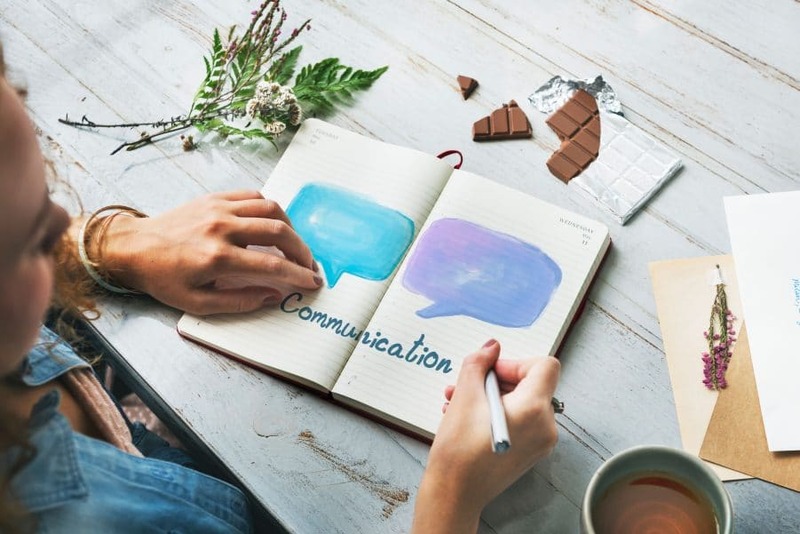 In the long run, communication in the workplace can improve a lot if employees gain at least understanding for the different leadership styles. Men frequently treat female coworkers in ways that parallel their interactions with their girlfriends and wives. Likewise, women often handle their male colleagues in a similar way they treat their husbands or boyfriends. As a result, efforts in communication between the genders tend to become marred by misunderstandings. Moreover, these are the misunderstandings that people are most afraid to approach because of their highly sensitive nature. It’s a well-known fact some aspects of the sexual dynamics in your home tend to spill over into your workplace relationships. This leads to subtle strains in workplace interactions as they mirror behaviors from personal relationships, such as who takes the lead in financial decisions. When standoffs occur, and it seems like your coworker simply „refuses to understand,“ it might be a good idea to examine the real source of your frustrations. Be careful not to let workplace communication be tainted by struggles in your personal relationships. Avoiding misunderstandings improves more than just performance. If men and women in the workplace paid close attention to gender communication differences, they would have a better chance to avoid misunderstandings and to untangle conversational knots. This will help create an environment in which powerful, high-performing teams can thrive because male and female employees will be looking forward to talking to each other. Improved gender communication will also help manage diversity and make it easier for staff members to help each other survive the inevitable difficult situations. Improving communication in the workplace can take time and patience. Professional coaches can help your company gain understanding for gender communication differences and the means to avoid resulting misunderstandings. At WORTLAND we are specialized in trainings and workshops focusing on business communication. Have a look at our offers now and establish a workplace in which the gender communication gap can be closed.